Why people cannot find true happiness? Why are we all in pursuit of happiness but never reach it? Because they are not willing to change their present negative way of thinking for one that is more positive and constructive. I just had a phone conversation with a very special friend of mine, she allowed me to write about it so all is well with her. We talked for half an hour, let me rephrase that because she was the one doing most of the talking during that half hour! It always amazes me how we choose to keep our focus on the negative side of things as if there wasn’t a positive side when by natural law there is always a positive side counterbalancing the negative one. I love my friend dearly but I must admit she’s always in “whining mode.” “Why it had to happen like this…”; “why my husband had to do that if I had told him to…”; “I’m so mad at her, she didn’t have the right to…”; “how could this happen now that I’m so busy and have no time to…”; and on, and on. Why is it that we prefer using our mind’s negative thought patterns instead of the positive ones? Through the conversation with my friend, it was evident that we are all so accustomed to be such hypercritical and dissatisfied beings. On top of things, our ego mind is always working successfully to convince us that we can control everything when in truth, we can’t. Who can be happy when life is showing us all around that in order to adapt to the circumstances as they arise, we must be equanimous and yet, we insist on believing that things someday will turn out the way we think they should? On this occasion, I tried to express to my friend a few words now and then, but I knew they weren’t helping at all, so I didn’t make a great effort. At the end, she said something that really made me think. She said: “I don’t see things as you do, and I never will.” She was honest. Some people are not willing to change, period. And that’s a fine choice. But those who really want to improve their lives should start realizing how important it is to stay away from the party poopers that all they want is to feel a bit better by infecting everyone else with their negative ways. 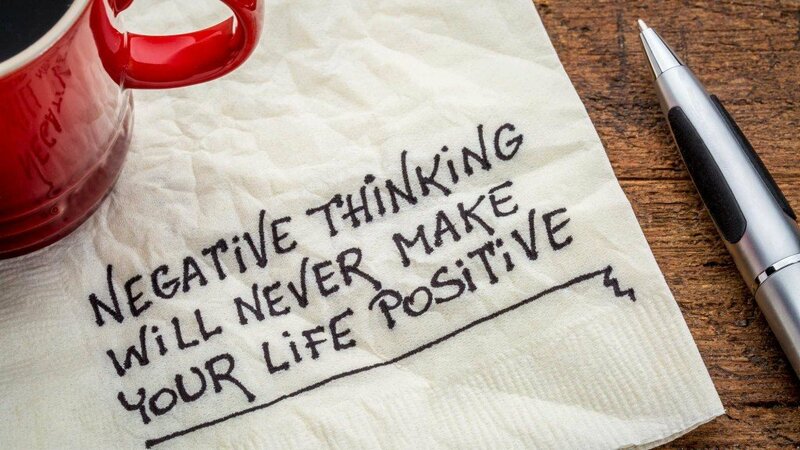 Do We Choose 51% of Positive Thoughts? We only need fifty-one percent of negativity or positivity to make that chosen fifty-one percent the predominant energy with which we create our lives. In other words, when fifty-one percent of our energy is negative, our life circumstances are predominantly negative. And when fifty-one percent of our energy is positive, our life circumstances are predominantly positive. When making that choice, we open up to a new way of being where the pursuit of happiness becomes easier and easier. Going back to the question at the beginning of this article, people can’t be happy until they recognize that it’s their negative energy the one they’re using to recreate their lives. Can you envision what the world would be like if each one of us would be willing to use fifty-one percent or more of our positive energy to create our present and future?